Back-To-Back Storms And No Pay For Federal Weather Forecasters Despite the shutdown, the National Weather Service is putting out forecasts and helping local officials prepare for dangerous weather, even as employees worry about making ends meet at home. 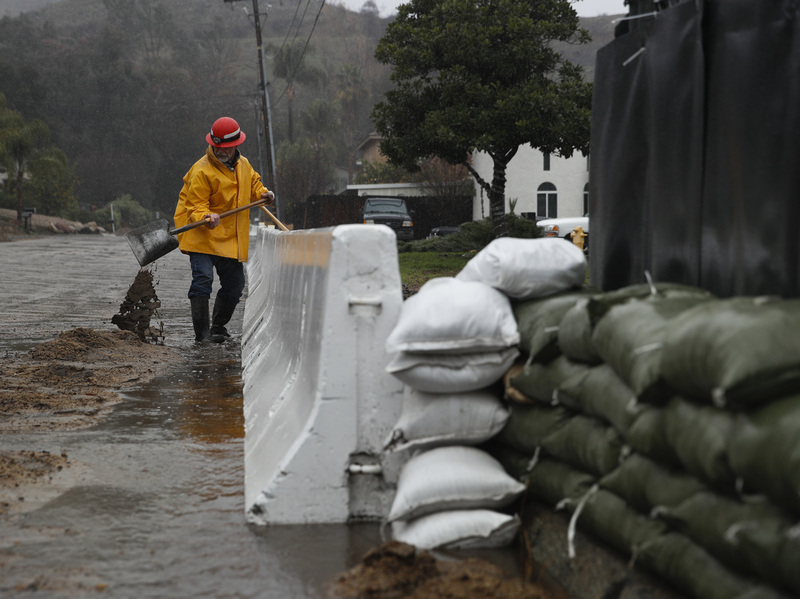 Lake Elsinore, Calif., was drenched Thursday by a storm that dropped rain and snow across much of the state. The National Weather Service is providing forecasts and warnings as usual, but employees are working without pay. During the Government Shutdown, there will be no interruption in National Weather Service forecasts and life-saving warnings on operational websites, such as https://t.co/VyWINDk3xP and the agency's social media platforms.